Day 20: "30 in 30"
Tough one! 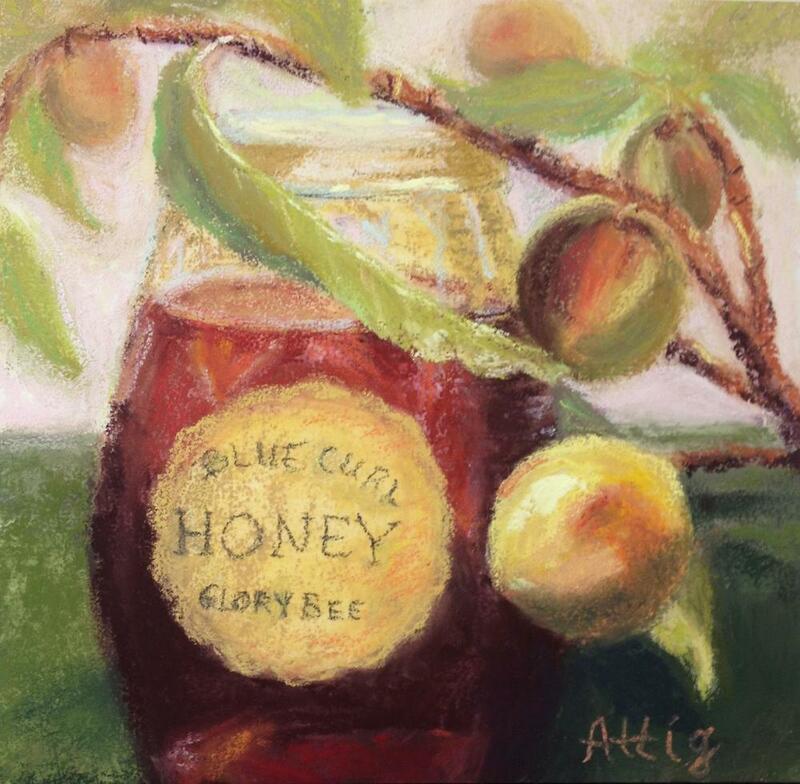 I wanted to paint a still life of this jar of honey with a branch from our peach tree. I chose to do it 6" x 6," which is very small, and turned out to be quite a challenge. We have beekeepers who use our ranch land to raise honey, and every year we are blessed with a giant box filled with jars of honey from every local flower...blue curl, orange blossom, sage, jasmine and more. It makes my mouth water every time I think of it. The beekeepers work hard to get this honey, and I enjoy watching them (from afar!) with their white hazmat suits, which makes them look like astronauts from outer space. The honey bee is doing well in our area, but I know its species is threatened nationwide from pesticides and other environmental factors. Save the bees! I hope you will appreciate the love and care that goes into each jar of honey every time you taste that sweet, sticky substance on your toast and in your tea. Glory Bee!